DAY 1: Suppose you came upon a statue in the woods. “What is this?” you might ask. Why is it here? Who brought it? Why? How did they get it here? What does it mean? These are reasonable questions. With a little research and some effort, you could probably find the answers and satisfy your curiosity. Now, imagine coming upon something for which there are no answers--whose origins and reason for existence you could never know, no matter how much research you did. 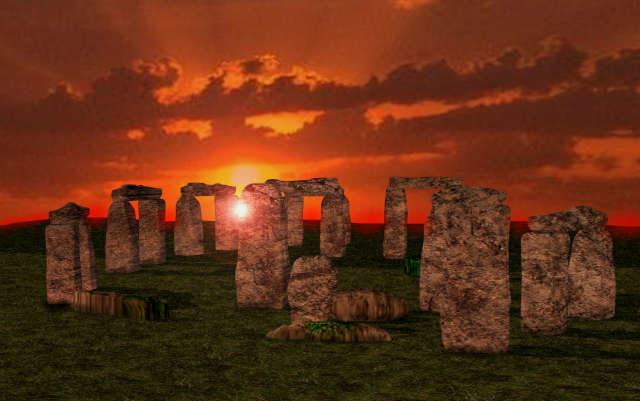 Stonehenge is an assemblage of giant stones in southern England. The name “Stonehenge” comes from henge, the Anglo-Saxon word for “hanging,” which refers to the horizontal stones in the monument. 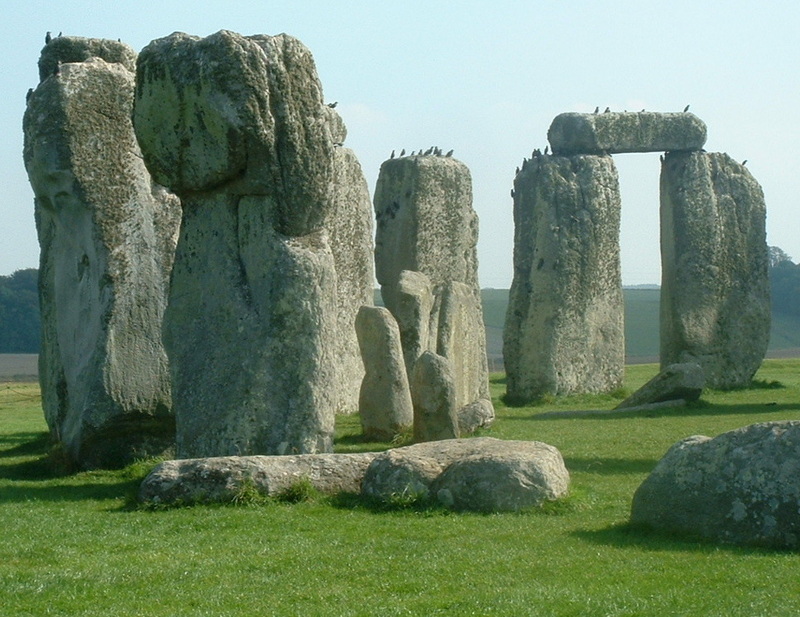 DAY 2: Stonehenge was built in phases from about 3100 B.C. to 1600 B.C. Yes, more than 5,000 years ago—during the Stone Age, long before the wheel was invented! We know this because scientists have used carbon dating to analyze the age of animal bones buried at the site. 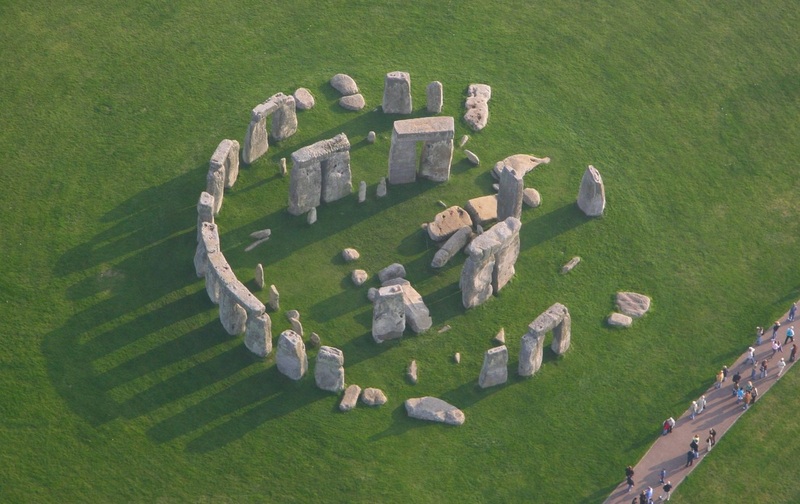 The monument consists of enormous stones laid out in concentric circles. The outermost circle is about 32 yards in diameter. The stones of the outer circle are sandstone columns connected by lintels about ten feet long. The lintels are shaped to the curve of the circle. Even larger blocks of sandstone and lintels form an inner semicircle. The largest of these stones weighs about as much as a fully loaded cement truck—40 tons. Today, sandstone similar to the kind at Stonehenge is found about 19 miles north, but no closer. Within the inner circle of pillars and lintels are smaller stones, called bluestones. 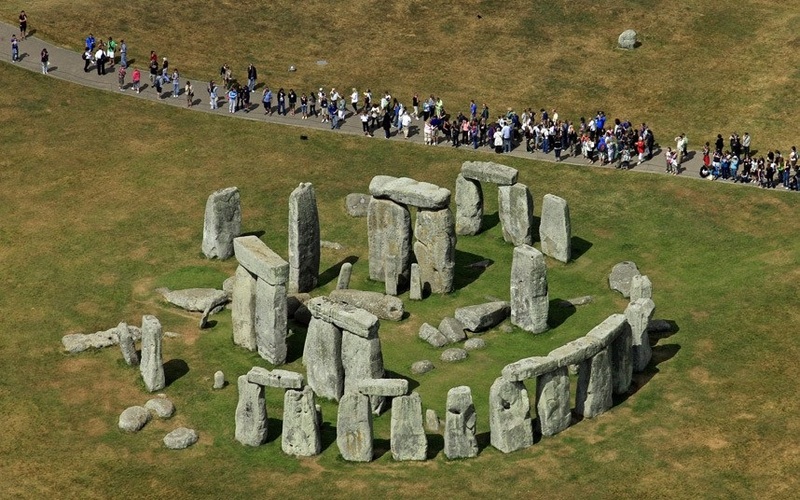 Also arranged in a circle, some are still standing as they have been for thousands of years. Others are leaning or lying on the ground. These four-ton stones are from mountains nearly 250 miles away! DAY 3: Most archaeologists maintain that people transported the stones, even the bluestones that came from so far away. According to these specialists, the stones were dragged over land and perhaps towed along the shoreline to their destination. 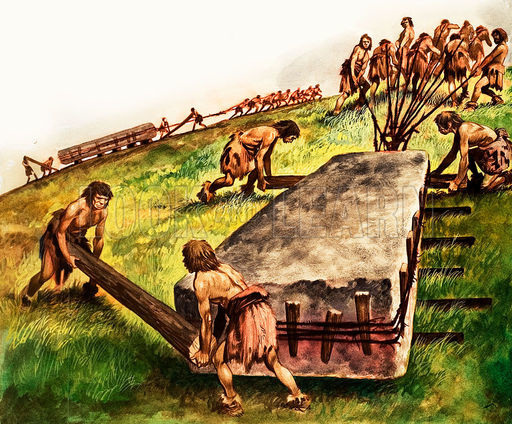 In 2000, a group of Welsh and English volunteers participated in a reenactment of the process by moving a three-ton bluestone from the Preseli Mountains in Wales to Stonehenge. The volunteers used methods and boats they thought might have been available 5,000 years ago. To travel along the coast, the stone was towed by two boats lashed together. At a point along the way, one of the ropes snapped, and the stone sank. It took many divers and a lot of muscle power to hoist the stone back into position. Imagine what it might have taken take to house, clothe, and feed all the people needed to transport these stones! Would it have been possible? No one knows for sure. 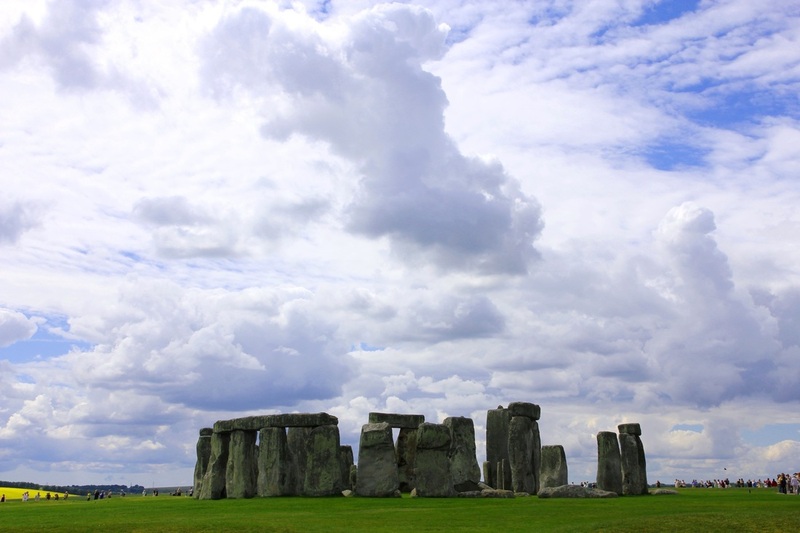 DAY 4: Whatever your view about how Stonehenge was built, a single question remains: Why? Like much else about this mysterious monument, theories abound. 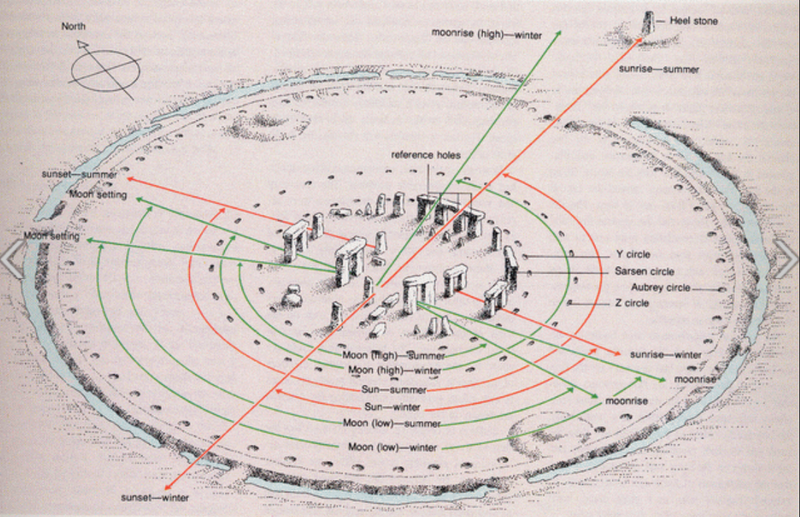 Some believe the monument was an astronomical calendar. According to this group, the placement of the stones predicted solar eclipses and marked the summer and winter solstices. But would Stone Age people have had the knowledge to erect such a monument?Others contend that Stonehenge was a place of healing, a place where some type of primitive surgery was performed. As evidence, people of this view cite the nearby discovery of skeletons with crude gashes…. But the gashes could have had many origins. Still others feel that Stonehenge was a burial ground and site for ancestor worship. Skeletal remains dating from 3000 B.C. to 2500 B.C. are offered as evidence for this theory. But why here? DAY 5: Stonehenge is easy to get to. 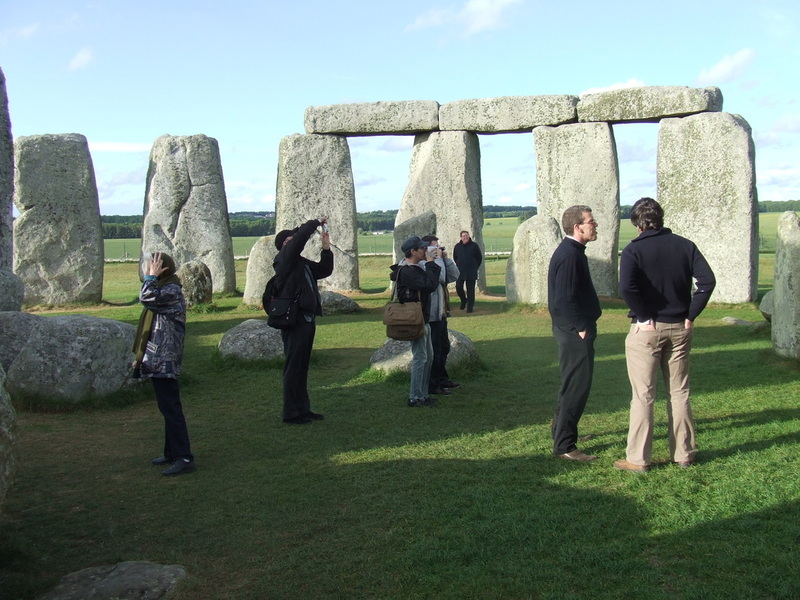 You can take the train to Salisbury train station and then take The Stonehenge Tour bus. You can also take a day trip by bus from London or Bath; it's about 2 ½ hours from London and around an hour from Bath. 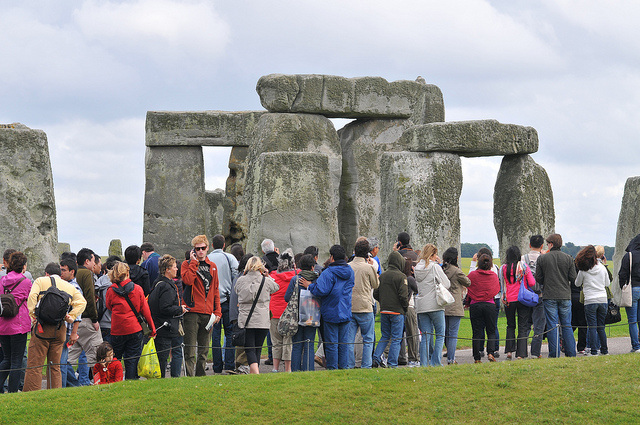 During normal opening hours you cannot walk up to the stones themselves.The nearest you will get to the stones is about 10 yards, the monument being roped off by a low barrier. However it is possible to walk up to and among the stones at Stonehenge outside public opening hours. These are called Special Access visits. During these sessions of one hour duration, only 26 people are allowed onto Stonehenge going beyond the barriers and walking amongst the stones.